What frustrates me more than anything else is: blind hate. And so, in our world, I’m finding myself frustrated often. More and more recently I’m finding myself frustrated everyday. Frustrated to the point of being scared even. And, making and writing music from this space of dark paralysis is a strange proposition. What a strange idea, right? “Sound in a time of hate.” How can we, makers of fleeting temporal artworks, ever hope to respond accurately or effectively in the face of political evil, zealously baseless morality, damaging grandstanding, and simple beyond blind bigotry? All of this, so much larger than each of us, even sometimes larger than all of us collectively — surely making art and sound in a climate like this couldn’t possibly even be appropriate, could it? So, in these dark times, I set out to write a short piece of music. A piece for a whole lot of people to play. Together. First I thought to make a piece based on the national anthems of the “Axis of Evil”. A prospect that in hindsight was like making a ballet in a pit filled with lime jello, while everyone not in the pit — snakes in expensive outfits — looked on and watched, jaws open, teeth bared over-wide. Then I thought, well, if not a piece made from the musics of some arbitrarily assigned “Other” enemies, maybe I’d make up 18 nations, then their national traditions, their songs, and then their anthems — finally making a piece that used all of those, imagining all their imagined conflicts, wars and hatred, failures, self doubt, joys, bliss, loss, and setting their arts against one another in nationalistic warfare. And well, clearly that’s a larger project, and maybe it’ll appear another day, who knows. 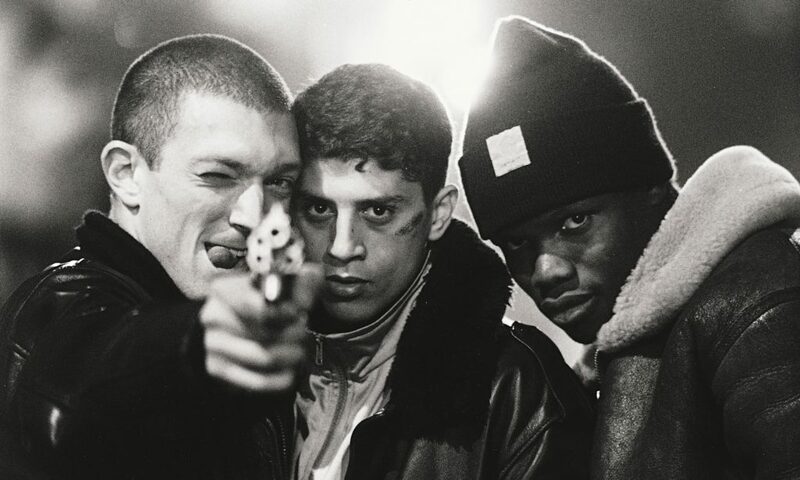 Then, somewhere in the winter I rewatched Mathieu Kassovitz’s 1995 black and white masterpiece about three brash young guys, the day after the Parisian riots of the time. These guys find a gun. Imagine that? A gun. It’s like excalibur for them. Anyway, the movie’s called: “LA HAINE (the Hate)”. I realized, pretty quickly, that most of these sketches I’d made for this piece: they were in, of, from, and against: hatred. And while Kassovitz’s “LA HAINE” already has a wonderful overture scored by Bob Marley, writing an “Overture to LA HAINE” was what I was already doing. It could be something about public protest in the face of violence inflicted on disenfranchised communities. Something imploring against hate. Something about walls and privilege, inclusion and community. Something of an operatic cinema overture. Or something else altogether.